HBO’s Release of the Mini-Series, “The Pacific” Ignites Interest in World War Two Japanese Good Luck Flags. 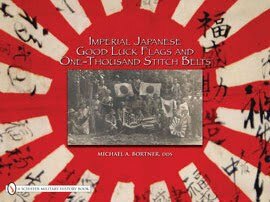 Dr. Michael Bortner, a Melbourne Beach, Florida, resident is the author of Imperial Japanese Good Luck Flags and One-Thousand Stitch Belts. Bortner, who earned undergraduate and graduate degrees in history and anthropology from the University of California, Irvine, and the California State University, Hayward, has had interest in military history and its material culture since childhood. Bortner’s book, along with HBO’s ten part mini-series, “The Pacific” have drawn praise from military historians and militaria experts here in the United States and abroad, especially in Japan. 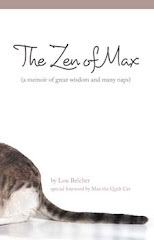 Through an extensive use of color photographs and detailed research, hundreds of these rare artifacts were examined, translated and documented within the 285 page work released by Schiffer Books of Atglen, PA. Recently, Tokyo based Japanese Public Television (NHK) traveled to Melbourne Beach, FL where they interviewed Bortner and examined his extensive collection of flags for a television documentary that they were preparing on good luck signed flags. During World War Two, Japanese soldiers, sailors and airmen were presented with a good luck flag prior to their departure from home. Each example was a unique and personal gift, decorated by friends and family who used a brush to paint their names and encouraging messages upon the flag’s white field. The red sun in the center was normally left unmarked. Once a man was transferred to his duty station overseas, the signed flag might be stowed inside his pack or helmet liner and carried onto the battlefield as a reminder of loved ones left behind at home. It was in these kinds of places that American servicemen typically found the flags and collected them as spoils of war. American souvenir collectors found ingenious ways in order to ship their captured items home, such as in discarded wooden crates, ration boxes, duffel bags and foot lockers. They all served as packing containers in which battlefield relics were stored and then later shipped back to the United States. “Next to the samurai sword, the good luck signed flag was probably the most highly sought after bring-back souvenir of World War Two,” says Bortner. The author said that no one knows for sure how many flags made their way into the homes of returning American service personnel, although the number was likely in the hundreds of thousands. Autographed copies of Imperial Japanese Good Luck Flags and One-Thousand Stitch Belts may be ordered directly from the author at www.GetHistoryToday.com In addition, unsigned copies of the book may be purchased from Amazon Books, and at Barnes and Noble book stores.